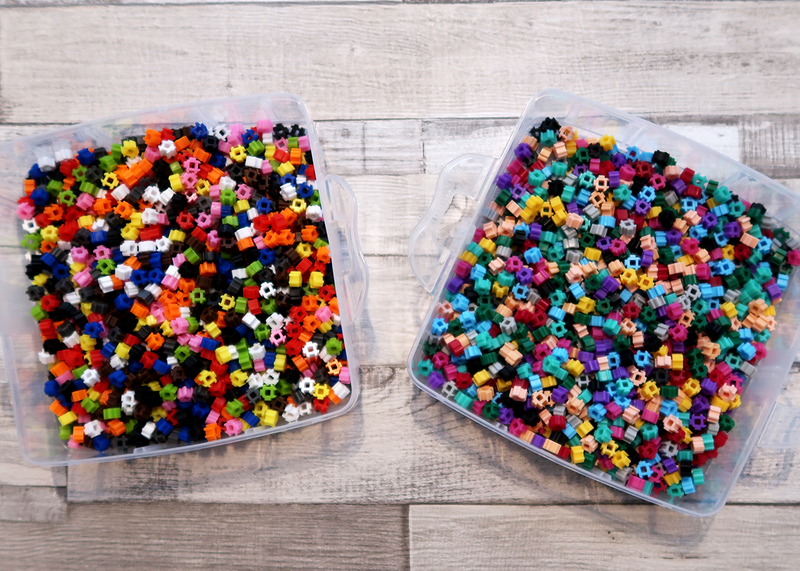 We are huge fans of Simbrix, plastic puzzle-shaped beads, for pixel art and 2D construction. This year Simbrix launched a Kickstarter campaign to develop new kits, with improved storage, bricks colours and idea cards. We'd like to think they got inspired by our discussions at the London Toy Fair, as everything we wished for Simbrix when they first launched, has come true with these new kits! 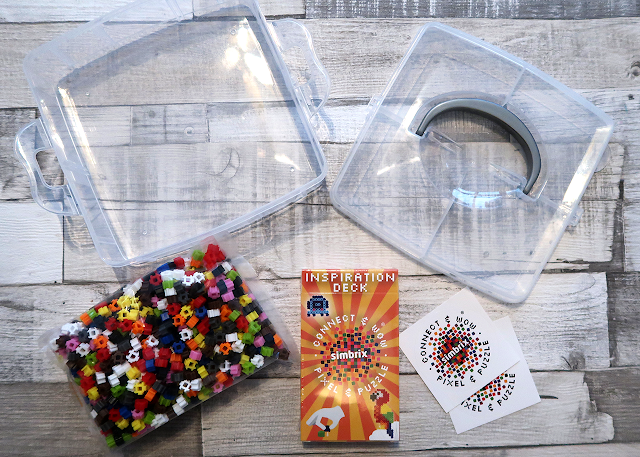 Disclaimer: Simbrix sent us a Cute Kit and Geek Kit to review. Our opinions are always our own. There are 4 new kits - Cute, Geek, Crafter & Maker. The new colours are split into two packs - Primo and Dueto. Each kit comes in a plastic box for storage and includes some stickers and an inspiration deck. The Cute kit includes 1 pack of 1000 bricks (Primo), the Geek includes 2 packs of 1000 bricks (Primo + Dueto), Crafter has 3 packs and Maker has 4. Nothing has else has changed, so if you already own Simbrix, you could add one of these kits to your collection. One of the best additions is the inspiration deck. Whenever we do local events we always have a table with Simbrix and without fail, people love it! But they always ask, where they can find pictures to make with the bricks. 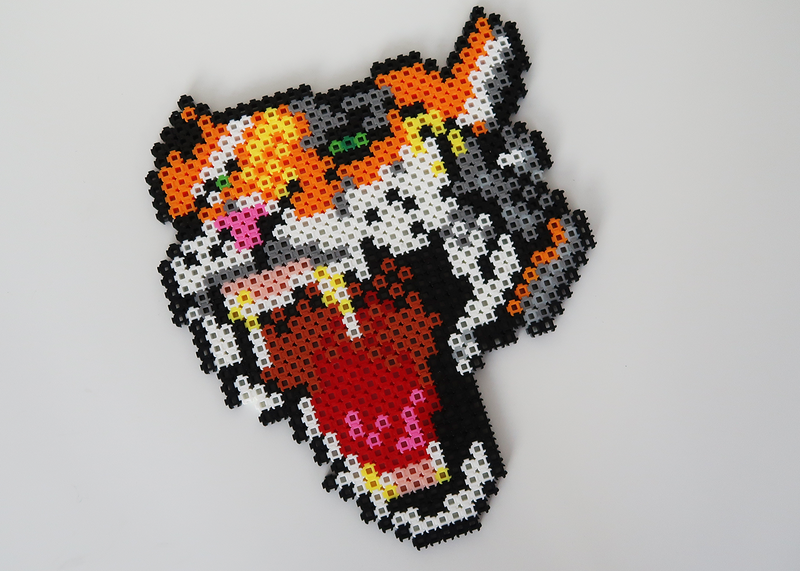 Truth be told, you could use Google and search 'pixel art' and make any pixel art image you fancy, but it's nice to have something immediately available to make. The inspiration deck is colour coded into Cute, Geek, Crafter and Maker cards. I'm assuming this means you can make the pixel art design with the deck you bought and the colours will match. There is no need to stick to only making Cute designs if you got the Cute Kit, you get all the designs in each inspiration deck. Depending on the kit you have you may not have the right colours or enough bricks to make some designs. This is another question people ask - what can I make with this many bricks? The obvious answer is, with more bricks you can make more and bigger designs. Simbrix is clever though because you don't need to iron it, so they are reusable. If you want to make something that needs more bricks, you can break up other pieces you've made. This is how my kids constantly use and reuse Simbrix. They make something keep it for a while, then break it up and make something else. 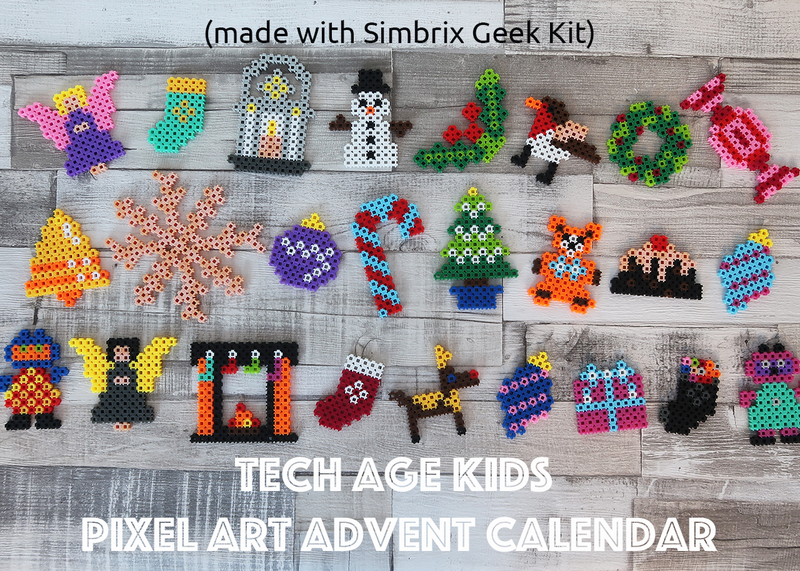 So we wanted to know if you can make our pixel art advent calendar with one of the kits we received from Simbrix. It turns out the Cute Kit doesn't have enough bricks. You can make 26 designs with the Geek Kit but not necessarily all the pixel designs in our advent calendar. We had to double up on some of the smaller designs and get creative with our colour choices. 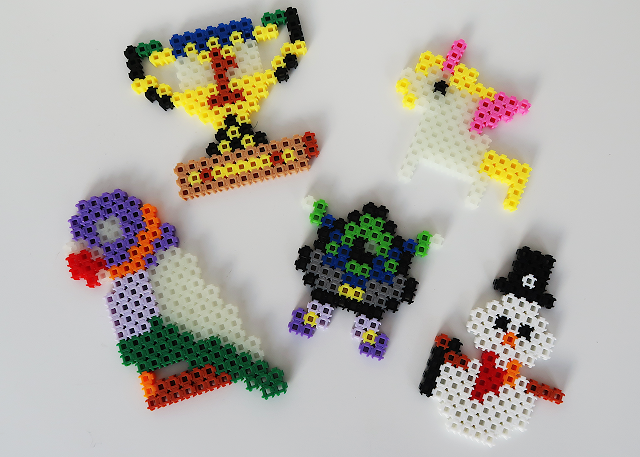 If you want to make all the designs in our pixel art advent calendar you need the Crafter Kit. We love the new kits and the inspiration deck is a welcome addition. 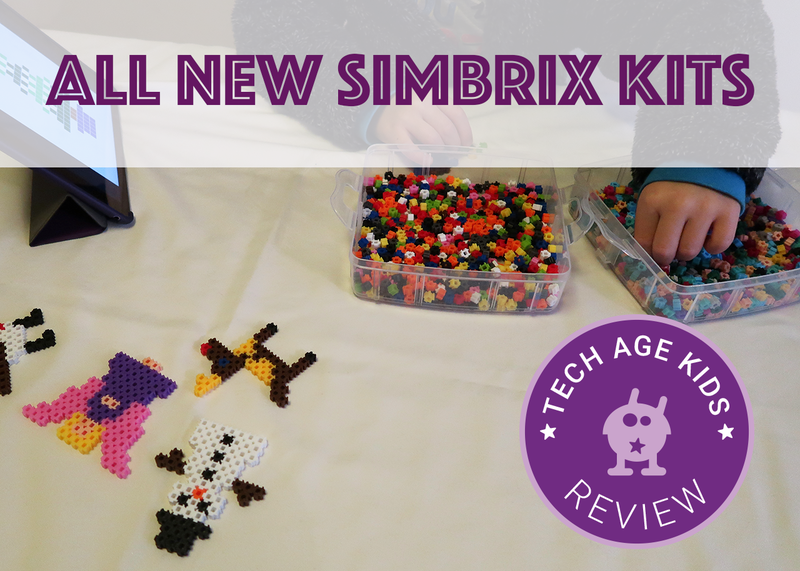 We would recommend Simbrix to anyone looking for a fun and engaging screen-less activity for kids (and adults). I really enjoy sitting down at the kitchen table and making Simbrix designs with my kids. Simbrix is our go-to activity in the winter when it's cold and wet outside.